Dimitris Michalakis was born in 1977 in Elefsina, Greece. He studied photography at the Focus School of Photography in Athens. Since 2004 he has been a regular contributor to K Magazine, (Kathimerini, Sunday Edition), and the E Magazine (Eleytherotypia, Sunday Edition). 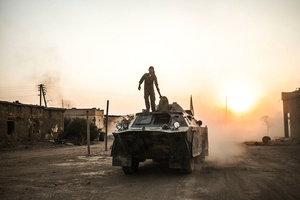 His photographs have been published in various Greek and international publications (Spiegel, Die Zeit, Rolling Stones Magazine,Le Monde, Washington Post, International NY Times,Vice).He has traveled on journalistic missions to many countries.